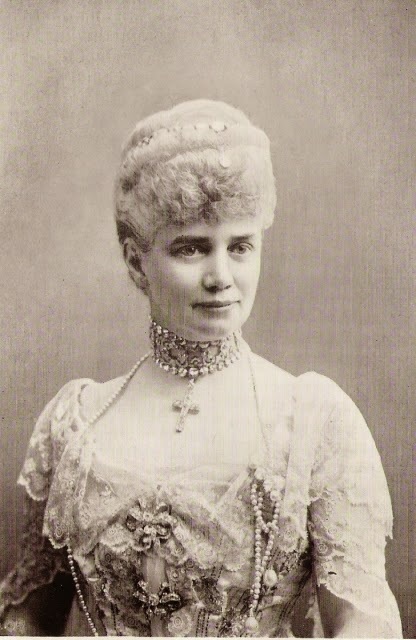 1874: In August, twenty-year-old Marie of Mecklenburg-Schwerin becomes a member of the Romanov dynasty when she marries Grand Duke Vladimir Alexandrovich of Russia. 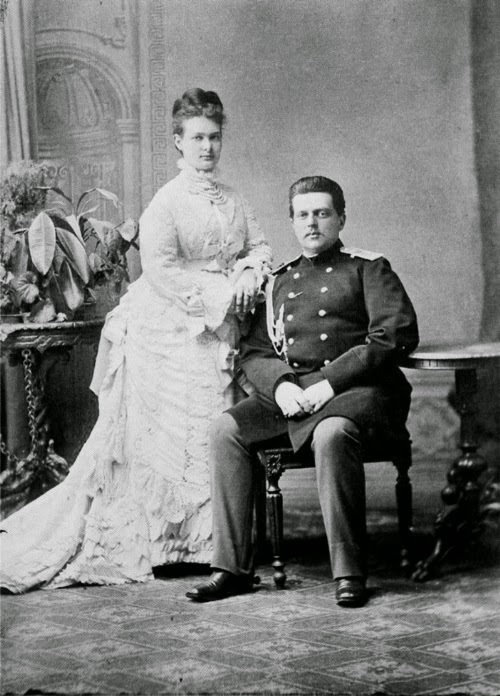 Vladimir is the third son of Tsar Alexander II of Russia; Marie is the elder daughter of Grand Duke Friedrich Franz II of Mecklenburg-Schwerin. Marie also has Romanov heritage of her own: she's the great-granddaughter of Grand Duchess Elena Pavlovna of Russia. To honor her Russian great-grandmother, Marie adopts the name "Maria Pavlovna" after her wedding in St. Petersburg. Her family calls her "Miechen." 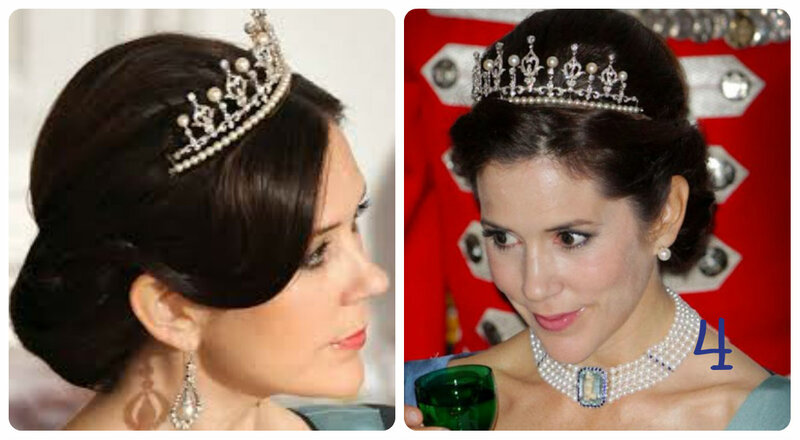 One of my favorite things about the Dutch royal family is their willingness to innovate with their jewels. Today’s tiara, one of the family’s “newest” pieces, is actually composed of a sapphire necklace supplemented by elements from another dismantled sapphire jewel. 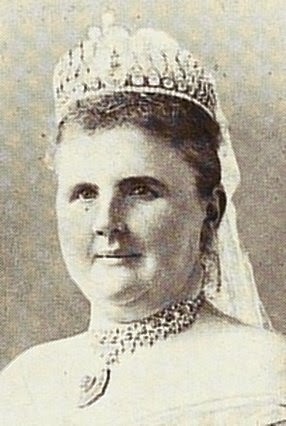 While the necklace was not worn in public as a tiara until 2009, it has a much longer history. 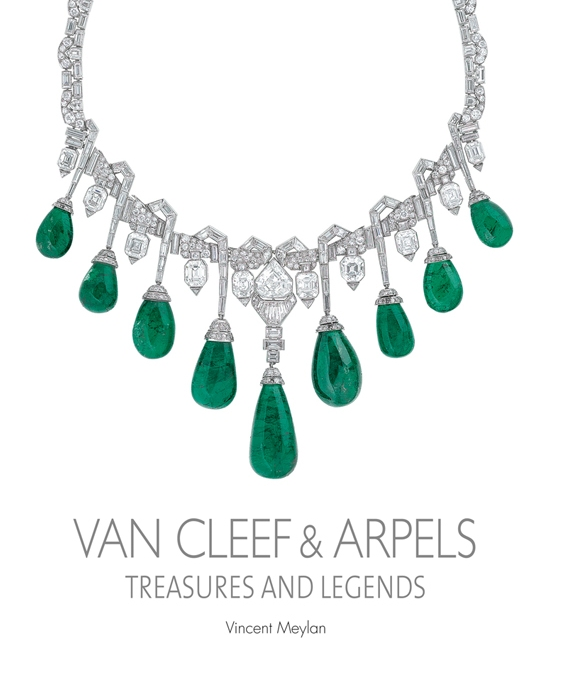 It began as a choker of diamonds and eleven sapphires and was purchased for Queen Emma by her husband, King Willem III. Along with other sapphire and diamond jewels, it was collected into a married parure. Occasionally a sapphire pendant was added to the center of the piece. 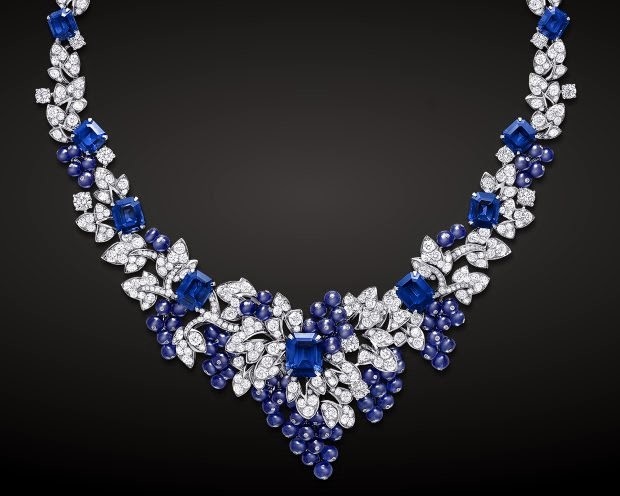 (For a very long time, sources — including the Dutch royal household itself — have stated that the choker and other parts of the sapphire parure were made by Mellerio. More recent research has suggested this is not the case.) Above, Emma wears the choker with the pendant. 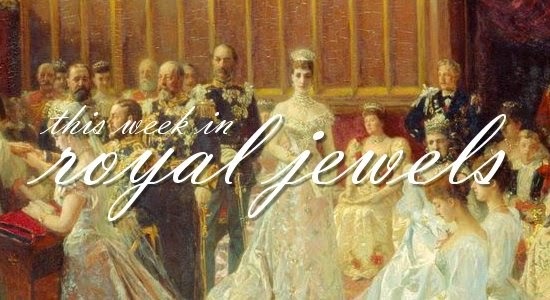 Time for the second part of our look at the gala jewels worn by Queen Mathilde of the Belgians! 10. The Dutch royals returned from Christmas break to attend a series of New Year's receptions. On Wednesday, Queen Maxima wore pearls for the foreign diplomatic reception. Sophie Wessex, our Magpie of the Month, has been a member of the British royal family for fifteen years, and in that time, her jewelry collection has slowly grown. She started off with a few significant, sentimental pieces, including her wedding jewels and the diamond clips we discussed last week, but she has been adding more and more interesting jewels over the years. Today, we're talking about gems that have become almost signature pieces for her: jewelry with aquamarines and other vivid light blue stones. In 2004, Sophie began wearing a set of jewelry set with blue stones, possibly aquamarines or blue topazes. The necklace and earrings feature a modern design, with geometric ribbons of diamonds paired with the blue stone drops. Above, she wears the set during the Polish state visit in May 2004. And here's part two of Kate's jewels from 2014! Click here to see jewels from the first part of the year, including the tour of New Zealand and Australia. 1795: In April, Napoléon Bonaparte becomes engaged to Désirée Clary, the daughter of a silk merchant from Marseilles. However, shortly after the engagement, Napoléon meets Joséphine de Beauharnais. 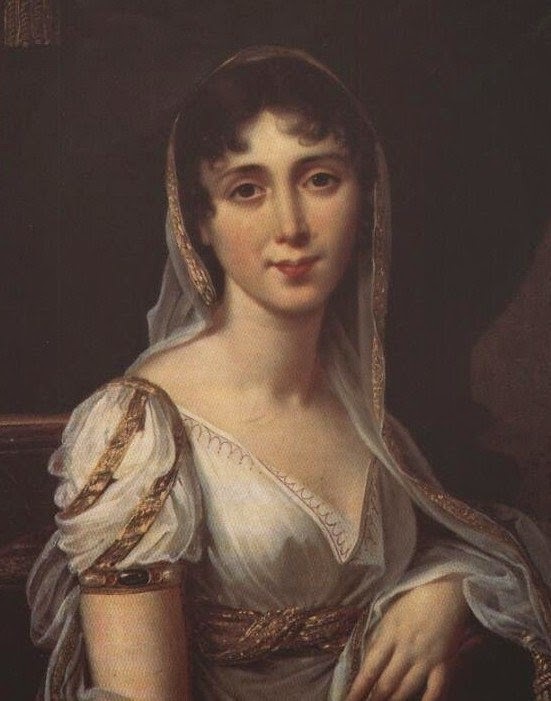 The engagement is broken in September, but Désirée remains close to the Bonaparte family, because her sister, Julie, is married to Napoléon's brother Joseph. It's a bit hard to believe when you see her, but this month, the Countess of Wessex is celebrating her fiftieth birthday. I'm hoping that Sophie's husband helps mark the occasion by making some additions to her jewelry collection; we're celebrating here at The Court Jeweller by making her our Magpie of the Month! Let's kick off our series on Sophie's jewels with a look at one of her most important brooches: her pair of diamond clips. The brooch was the Queen Mother's wedding gift to Sophie in 1999, so it's extremely appropriate that we saw her wear the clips for one of the first times in public at the Queen Mum's 99th birthday celebrations that August. A Jewel Fund in aid of Child Welfare has been started in London to raise money to provide grants to assist the initial expenditure on establishing child welfare organizations throughout the country. There are at present about 200 towns where it is proposed to conduct welfare centers for antenatal and postnatal care as well as day nurseries for the children of working mothers. The appeal, which is signed by the Duchess of Bedford  (chairman of the fund), Mrs. Lloyd George  (vice-president), Lady Rhondda  (vice-chairman), the Duchess of Marlborough  (hon. treasurer), Lady Henry  (hon. secretary), the Duchess of Norfolk , Dr. Mary Scharlieb , Miss Ellen Terry , Mrs. May Ogilvie Gordon , and Mrs. Mary R. Macarthur (Mrs. W.C. Anderson) , asks every woman for a gift of jewelry, which will eventually be sold at Christie's, to help in the formation of centers, which will be assisted later by government and municipal grants. The offices of the fund are at premises lent by the firm of Cartier, at 175 New Bond Street, where gifts of jewelry can be sent, addressed to the Duchess of Marlborough. A gratifying response has already been made to the appeal, and a display of the jewels received is now on view at Messrs. Cartier's.